This video is the 5th video in my Learn to Cook series, and this recipe is how to make cooked carrots. So often we are making a meal. Carrots are a wonderful vegetable to try. When you cook them they are soft and sweet. They are hard to beat. I love to add them as a side dish; they are tender, sweet, and so inexpensive to make. You don’t need to buy the baby cut carrots. You can cut the carrots yourself. It is easy to do. You simply need to grab a vegetable peeler and peel those carrots. 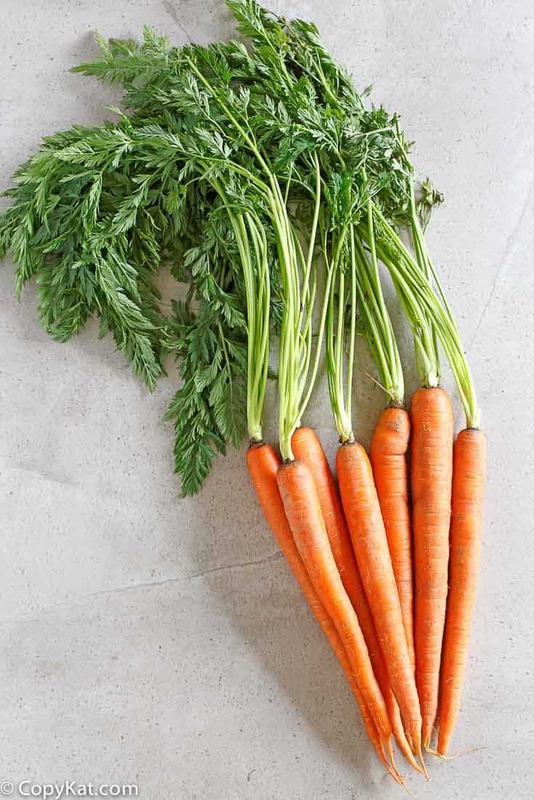 When you buy carrots, you may see them in a bunch with the greens on, and you may see them in a cellophane bag. Either way you can purchase your carrots will be fine. This recipe is pretty flexible if your bunch weighs over 1 pound it is fine just add a little extra salt and some extra butter. This recipe is pretty flexible. When you are cooking them it is important not to let them simply boil away. You want them to simmer for their cooking time. Love this Learn to cook series be sure to check out the other videos/recipes. This series is me cooking my way through my old home economics book from junior high. I will release a new Learn to Cook video on Friday. So stay tuned. Love carrots? Try these carrot recipes. 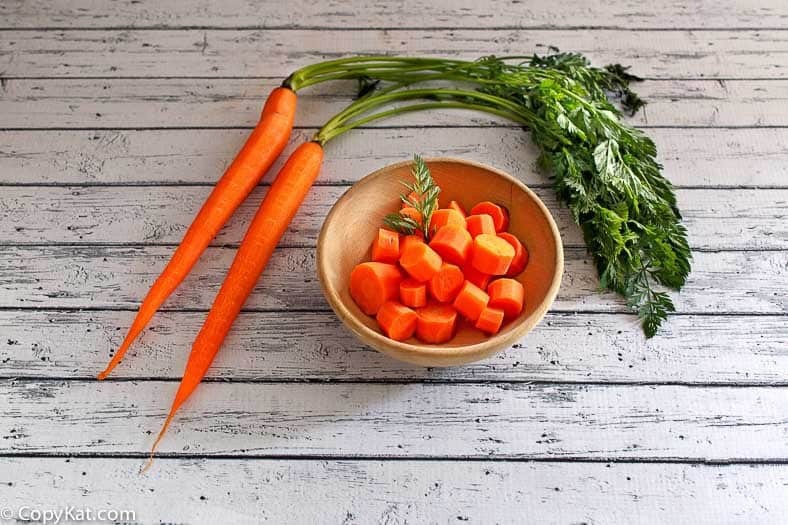 Learn just how easy it is to cook fresh carrots. Peel carrots, and then slice carrots in approximately 3/8 inch thick. 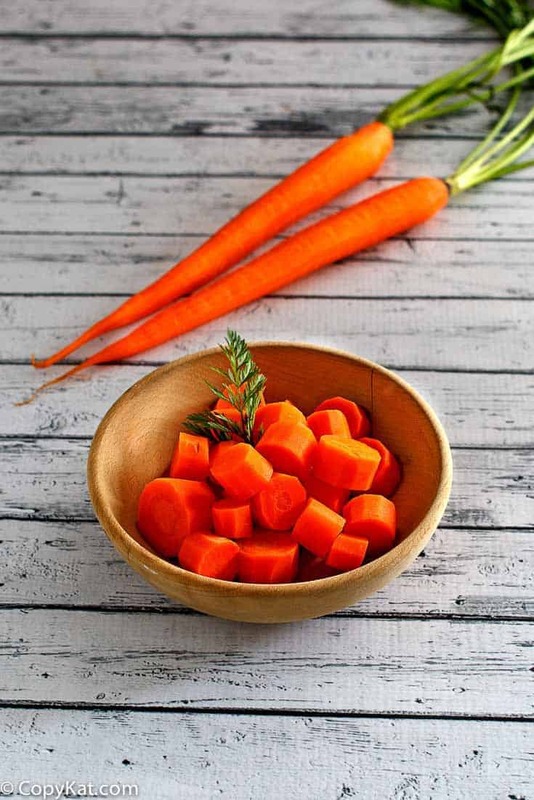 Place carrots in a medium sized pot, and add enough water to cover the carrots. Add salt and stir the salt into the carrots. Add 1 tablespoon of butter to the carrots. Cook over medium heat for 10 to 12 minutes or until carrots are soft. I just fixed cooked carrots this past week. I put them in a steamer basket and then cook them in my pressure cooker. Sue, so nice to hear from you. I should try making them like this. I have done carrots in my Instant Pot for about 4 minutes and that works well too! I enjoy your recipes. Please keep them coming.